​Google launches Currents app to replace Google+ for enterprises. All the content of a firm that existed on Google+ will be automatically transferred to new app. Google+ for consumers was shut down earlier this month. 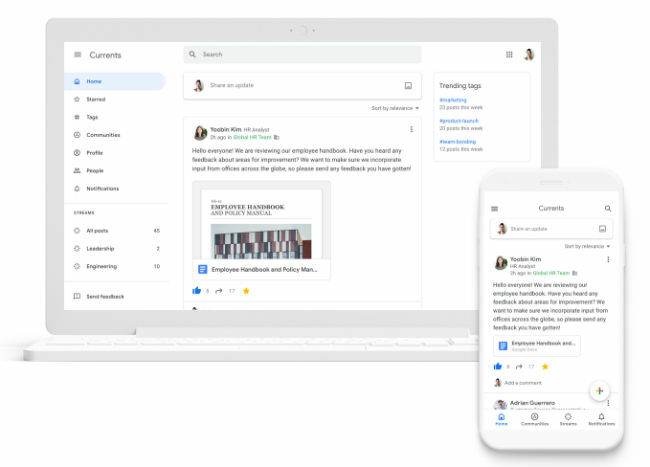 After killing off the Google+ platform for enterprises, Google has launched the Currents G-suite app that will enable people to have meaningful discussions and interactions in an organisation. 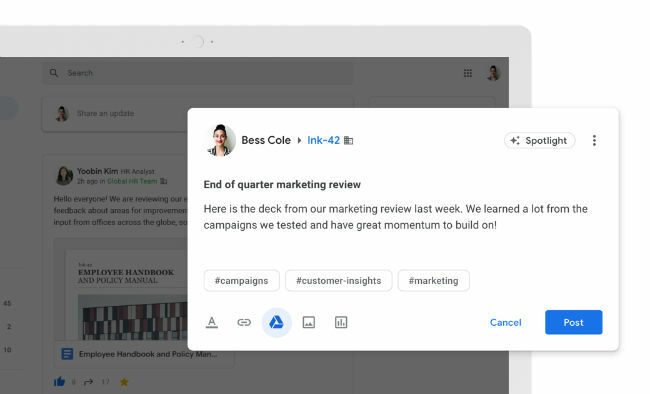 Google says that Currents is replacing Google+ for G Suite, and has a new look, feel, and set of features. With this launch, all the content of a firm that existed on Google+ will be automatically transferred to new app once it is enrolled in the beta. “Currents makes it easy to have meaningful discussions by enabling leaders and employees to exchange ideas across the organization and gather valuable feedback and input from others — without flooding inboxes. Currents features a streamlined experience for composing content — users can easily tag their posts and attach relevant attachments or images. Once a user posts, others can comment, give feedback, and ask questions all in the same place,” Google said in a statement. One of the features is that posts from the leadership can be given a priority, which improves “visibility across the organization to drive alignment”. Admins can also shape the discussion by promoting specific content to a targeted set of employees or the entire organisation. Moreover, admins can measure engagement across the platform with metrics to track usage and understand what content is resonating across the organisation. When it comes to the features for employees, the app can connect them to timely content that is personalised to their role and interests. “Content in the home stream is ordered by relevance so it’s prioritized for what is most important to that individual, or users can choose to sort it chronologically,” the tech giant said. The Currents app can also help individuals to track analytics for posts. To access to the beta programme, organisation can send a request mail at CurrentsBeta@google.com. 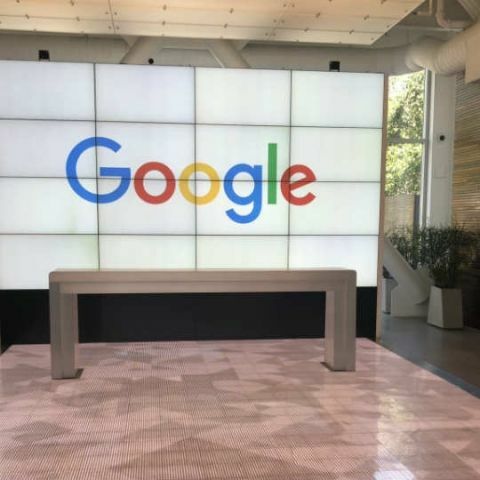 Google shut down Google+ (for consumers) earlier this month for two reasons: First, it failed to take off as it was expected to and couldn’t pose a threat to Facebook, and second, there were some security concerns regarding the platform. Google gave the moderators and admins an option to save data. This move suggests that Google is also looking to shut the enterprise arm of the Google+ soon.